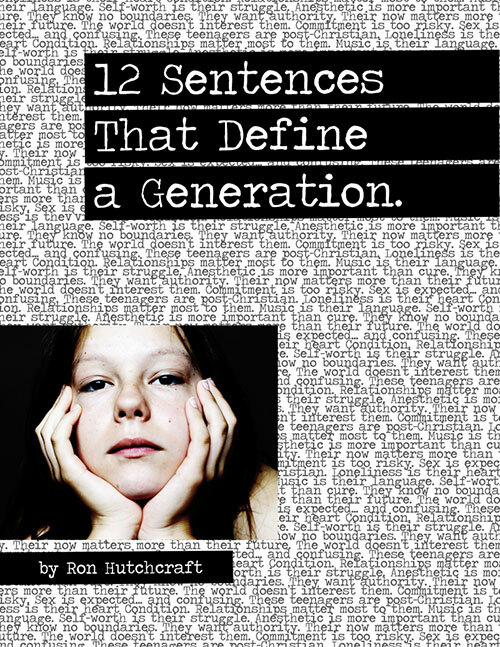 12 Sentences That Define A Generation | Ron Hutchcraft Ministries, Inc.
Dear friend, thank you for caring about a generation of young people! If your heart aches for millions of teenagers who need Jesus, we would like to offer to you the free downloadable PDF, "12 Sentences That Define A Generation." This will help you understand today’s young people, so we can better reach them for Jesus! Together, we can win this battle for a generation!